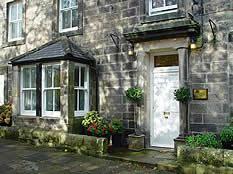 Choose from 12 hotels and guest houses in Northumberland. Shown below a just a selection of the hotels available. To search within an area please use the menu on the right. Featuring a blend of 18th century architecture and modern facilities, our hotel is centrally situated in the town, within the medieval walls and a short walk from the old quayside. Our hotel houses en suite rooms, all with a reputation built on first class service and individual attention. We offer a lovely walled garden to the rear of the hotel, a wonderful place in which to relax of an evening with a glass of wine, or dine al fresco throughout the summer months. The restaurant caters for a wide variety of tastes providing breakfast, lunch and dinner each day of the year. Sunday lunch was brought back serving a succulent roast. Come and pay us a visit and let us look after you whilst you look around the Northumberland and Scottish countryside. Set in 1,000 acres of prime Northumberland forest and moorland, yet close to Newcastle. Surrounded by two championship golf courses, Slaley Hall remains a grand retreat and a symbol of Edwardian elegance. The Leisure Club and Health and Beauty Spa feature a 20 metre swimming pool, fully equipped gymnasium and spa. If you enjoy outdoor pursuits, Slaley Hall offers a variety of activities including fishing, archery, mountain biking, quad biking and hot air ballooning. This simple but luxurious Georgian town house has a village location on the edge of the Northumberland National Park. All rooms offer free Wi-Fi, flat-screen TVs, Bose music systems and Egyptian cotton linen, slippers, bathrobes and luxury toiletries. The Orchard House is winner of the AA Guest Accommodation England 2008, and is Conde Nast Johansens Recommended 2009, and one of Trip Advisor Travellers' Choice Top Ten Bargains in Europe 2008. Over 200 years old and Grade II listed for its historical architecture, this luxury Georgian hotel is in glorious surroundings with views over the River Tweed. The Collingwood Arms is a former coaching inn. You will be welcomed in the entrance hall by an open log fire, and there is a library for relaxing. The rooms mix antique furniture and period bathrooms with digital TV, Wi-Fi and highly comfortable beds. On arrival, you will receive mineral water and a free basket of fruit. The hotel bar features oak and antique leather. In this relaxed atmosphere, enjoy local beers, wines and a wide selection of Scottish whiskies. Quiet gardens offer al fresco dining in summer. This 300-year-old coaching inn has many historic features and offers ? la carte dining in the Olympic Suite, which has stained glass windows salvaged from the SS Olympic. The White Swan Hotel is walking distance from Alnwick Castle and its 'water gardens', and a 40-minute drive from Newcastle and the Metro Centre. The hotel is well located for many National Trust Properties, and not far from unspoilt beaches, scenery and coastlines, such as Holy Island and the Farne Islands. There is no lift at the hotel. 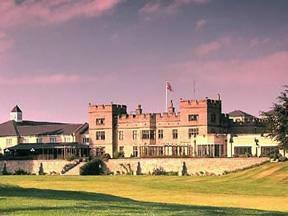 15 mins north of Newcastle, near Morpeth, a country house hotel with full leisure facilities and an 18-hole golf course. Linden Hall offers Georgian architecture, log fires and a country pub as well as recently refurbished bedrooms. Set in 450 acres of magnificent Northumbrian countryside, the grade two listed Linden Hall hotel, spa and golf is one of the North East's leading venues for leisure breaks, conferences and weddings. Built in 1812, Linden Hall is both tasteful and elegant and has just undergone a major refurbishment of all 50 bedrooms - a 7 million investment in total. 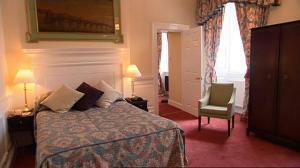 The bedrooms have been completely refurbished to a very high standard and in keeping with the style of the hall. New feature rooms boast a separate walk-in shower, plasma television and DVD Players - everything you would expect of a prestigious 4 star hotel, ensuring something is offered for everyone. The conference and banqueting rooms are all tastefully decorated. The elegant Longhirst Hall Classic is the perfect blend of business, adventure and tranquillity. Set in 75 acres of woodlands in Northumbria and just 2 miles from the A1 and 18 miles north of Newcastle. Originally a 19th Century mansion, now a meeting venue, Longhirst Hall is located near Morpeth, 18 miles north of Newcastle and only 2 miles from the A1. It is an ideal base for exploring the Northumbrian coastline and visiting Alnwick Castle, the setting for Hogwarts School in the magical Harry Potter films. Set in private grounds and woodland, it offers a host of leisure activities such as two 18 hole golf courses and other sports facilities such as cricket, football, hockey and tennis plus a fitness room PLEASE NOTE - OUR SAUNA & SPA POOL ARE CURRENTLY OUT OF SERVICE. There is a choice of dining options ranging from the formal Boyson Restaurant specialising in local Northumberland produce, cream tea in the fabulous Drawing Room to lounge service food in the bar. Longhirst Hall has 77 comfortable en suite bedrooms located in a modern extension block behind the old house, in quiet area away from the public areas and car parks. They are well equipped with satellite television and trouser press and some have lovely views over the surrounding grounds. The hotel also offers both smoking and non-smoking bedrooms. England's most northerly hotel just 300 yards from the Scottish Border, set back in its own woodland gardens. An ideal touring centre for the spectacular Northumberland coastline and castles and the historic Border towns. Our gracious Georgian mansion offers all modern comforts, excellent cuisine and good service in a peaceful setting, yet only a mile from Berwick-upon- Tweed with its Elizabethean walls and its mainline railway station. Besides being an ideal touring centre, there are several golf courses nearby, together with superb fishing opportunities on the Tweed. The Berwickshire Coastal Path also runs by the end of the hotel's grounds with its fine scenic views. Set in gardens with uninterrupted views over the Northumberland countryside to the Cheviot Hills, this beautiful Georgian property houses luxurious 5-star bed and breakfast accommodation. Chatton Park offers the service and elegance of a country-house hotel at an affordable price. It was awarded AA Guest Accommodation of the Year 2009/2010. Chatton Park House is one of England's top boutique bed and breakfast establishments. It was recently awarded Enjoy England's highest accolade of 5 stars, plus the prestigious Gold Award. Chatton Park has also received the AA 5-star Gold Award, plus an 'Excellence for Breakfast' award, putting it in the top 10% for accommodation in Great Britain. The elegant house was once the home of the current Duke of Northumberland. Today, the rooms are well appointed and beautifully decorated. All of the en suite rooms have digital TVs, stereos and small fridges. Less than 100 metres from the beach and golf course, the Schooner is a 17th-century coaching inn, with 2 cosy bars and centrally heated en suite bedrooms. There is a conservatory, with a garden and terrace that have superb views of the Aln Estuary. The bars have a pool table and occasional live music in a village-pub atmosphere. Some rooms have views of the estuary, sea and golf course. Meals are available between 12:00 and 20:00. There is also an Indian-cusine restaurant open in the evenings. The Schooner has a rich history, with famous figures such as Charles Dickens, John Wesley, Basil Rathbone and King George III all said to have stayed there. The Schooner Hotel has been under new management since summer 2009. Our country house is magnificent, privately owned, and set in the Northumberland countryside close to Hadrians Wall. 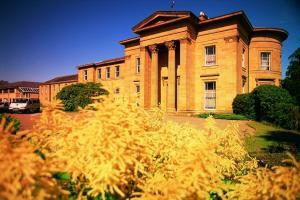 We are located only twelve miles from Newcastle upon Tyne, Matfen Hall is an ideal base for exploring the North East. Whether it's history and culture, breathtaking scenery or excellent shopping that you're looking for, our hotel offer good access to all. Sir Hugh and Lady Blackett have carefully restored their family seat into one of the North Easts leading venues for weddings, conferences, golf and leisure breaks. Now Open is our fantastic new Spa & Leisure complex. Each of our 53 bedrooms have their own charm and character combining modern facilities with traditional opulence. All rooms are en- suite, with satellite tv, direct dial telephone and all the amenities you would expect. On the scenic Northumbrian coastline, this family-run inn is reputedly one of the oldest buildings in the seaside village of Alnmouth and today offers free Wi-Fi and charming en suite rooms. After a long period of refurbishment, the Hope and Anchor now offers a comfortable base from which you can enjoy the delights of the heritage coastline and all of the regions golf courses, cycle ways, walks and wide, sandy beaches. There are double rooms, large family rooms, and a single room, all with en suite showers and toilets. The cosy and well-stocked bar offers real ales and the relaxing, informal restaurant serves local home-cooked food. Pets stay for free and are more than welcome in your room and in the bar or beer garden. Secure storage is available for bicycles. The Hope and Anchor is family run and your hosts, Barbara and John Davison, pride themselves on offering a warm welcome and a friendly relaxing atmosphere.